How do we use 1Password? Idea Grove uses 1Password to manage passwords for ourselves and our clients. Store documents securely. A potent cocktail of AES-256 encryption and PBKDF2 key derivation ensures that no one but us can our data. Stay safe crossing borders with the extra protection of Travel Mode. Benefit from multi-factor security with a master password, a secret key and two-factor authentication. Runs on Amazon Web Services, the largest and most secure infrastructure provider on the planet. Alongside great scalability and high availability, AWS also enables us to use KMS Hardware Encryption to further harden the SRP Verifier. First and only password manager to use WebCrypto, providing direct access to the system’s secure random number generator, making truly secure cryptography possible in the browser for the first time. 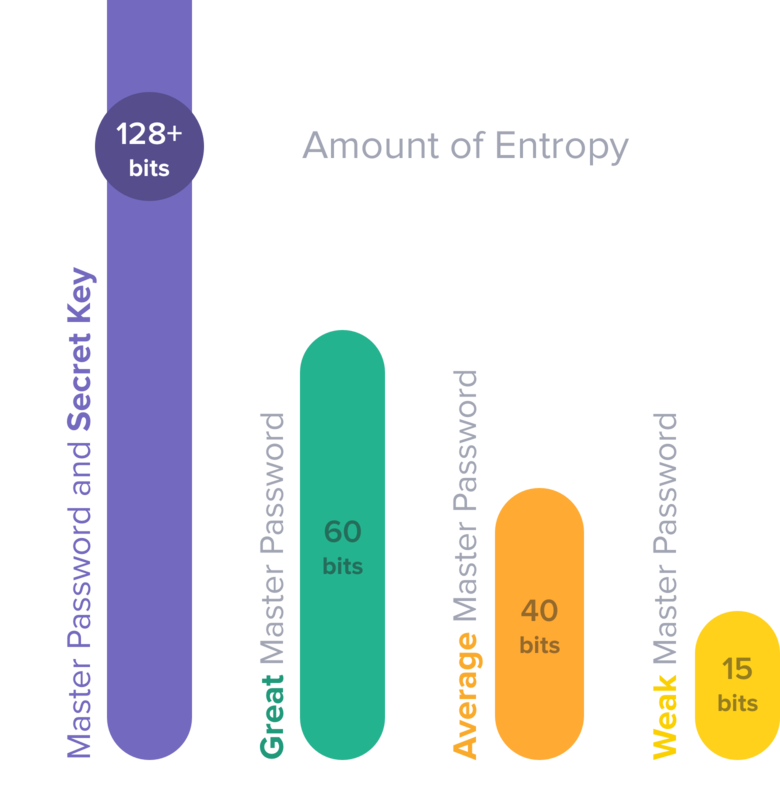 WebCrypto is over 10x faster than traditional crypto libraries, so we don’t have to wait to get first-class security. Unlock 1Password on your mobile device with your fingerprint or a PIN code. Our favorite security feature is Watchtower. Watchtower tells you about password breaches and other security problems on the websites you have saved in 1Password. They continually update Watchtower as security breaches are reported, so we can change our passwords right away. 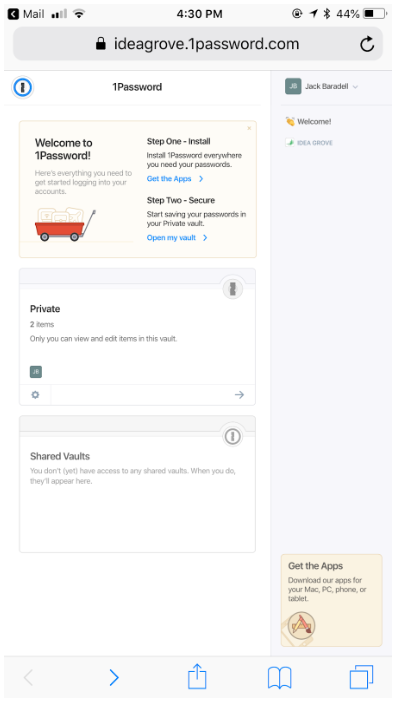 We also like 1Password because it is very user-friendly and has a Chrome extension, a Mac desktop app, and a Android and iPhone app. In the same screen, you will see a green list of pending approvals. Click Confirm to finalize people’s sign up. Team Members can be added to multiple vaults and can have a private vault, as well. You will get an invitation via email. Click on the CTA. 2. Input your name and last name. 3. Create a Master Password (this password is your own, no one will have it). 5. Download your secret key (You will need it to sign in to your vaults from your phone and in case you lose your very own master password. Save the PDF in a safe place). 6. You will see this screen. 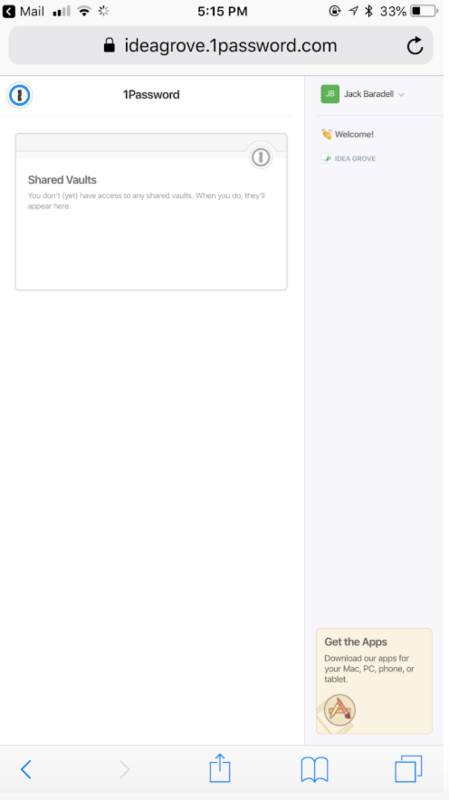 Wait for an administrator to approve you and add you to the Shared Vault. 7. Download the 1Password app for Mac and the Chrome extension. Guests can only be invited to ONE vault and cannot have private vaults. Steps 1 to 5 above apply. 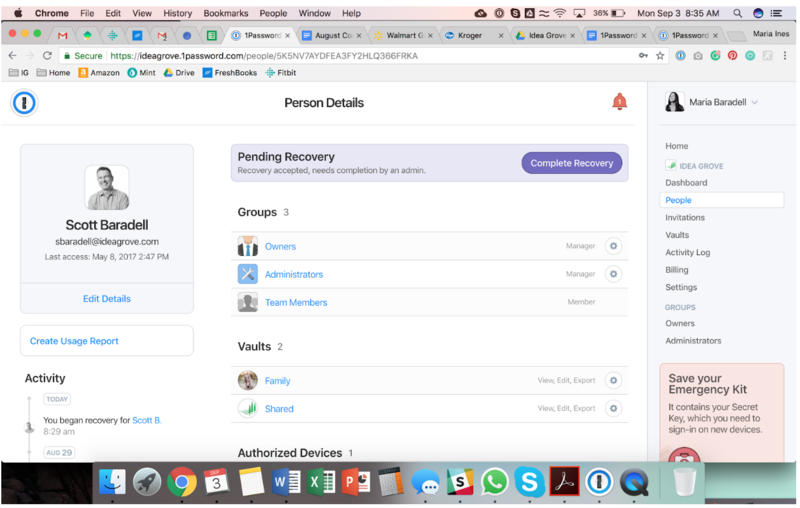 An administrator has to initiate the Recovery Mode: Select the user, click Actions, click Begin Recovery. 3. The user should click Recover my Account. Then it will take him through a process similar to the sign-up process (explained above in this document). 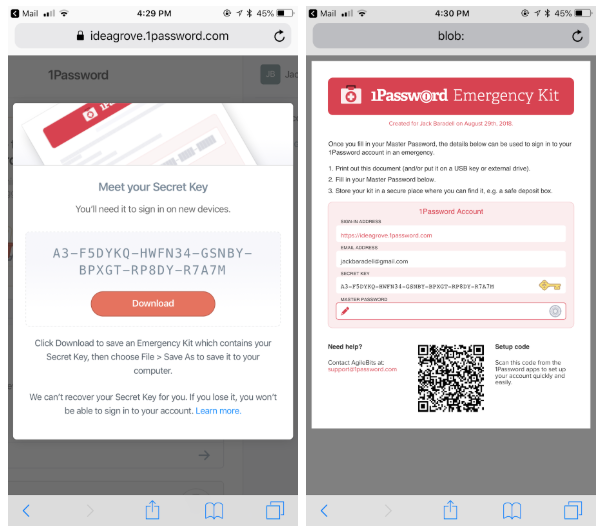 The user should be able to pick a new Master Password and download a new Emergency Kit. 4. 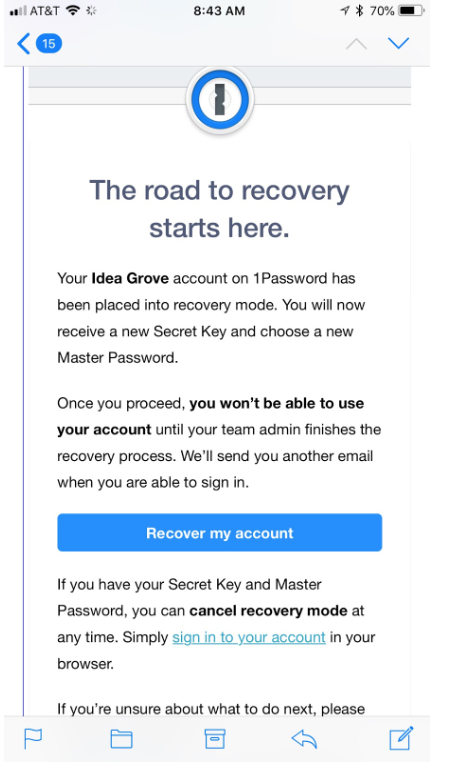 When the user goes through the recovery process, an admin will get the email below and see the following screen when signing up to 1Password. Click Complete Recovery. 5. The user should be able to login with their new Master Password and Emergency Key.